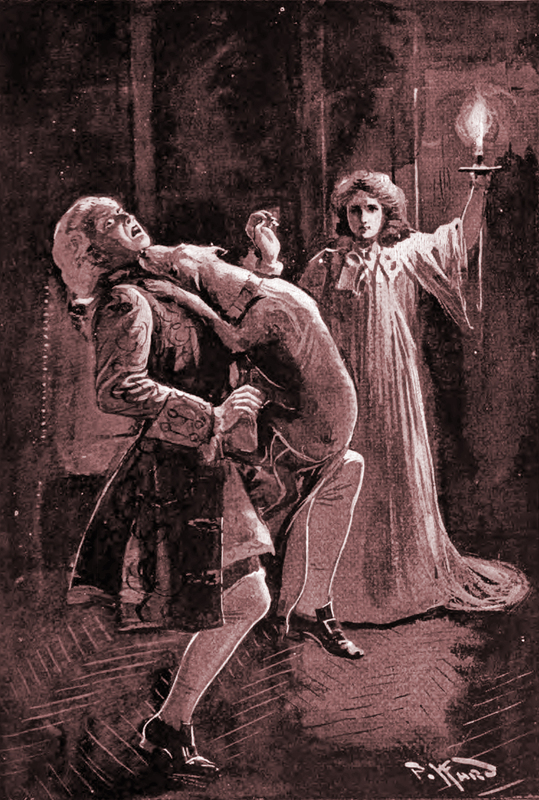 The hound of the Baskervilles. 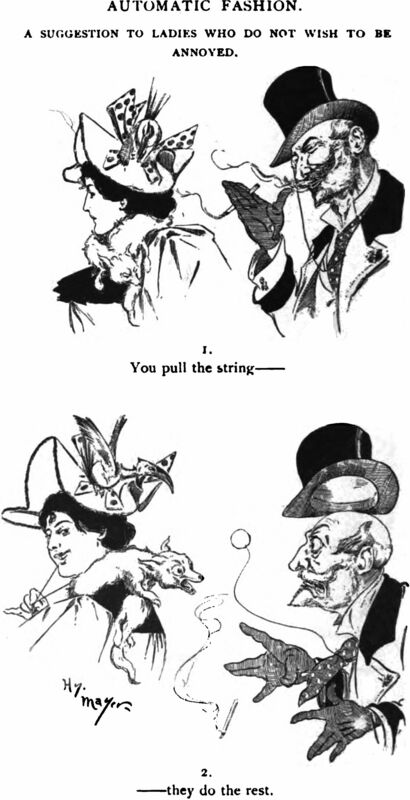 From Lustige Blätter, 1907. 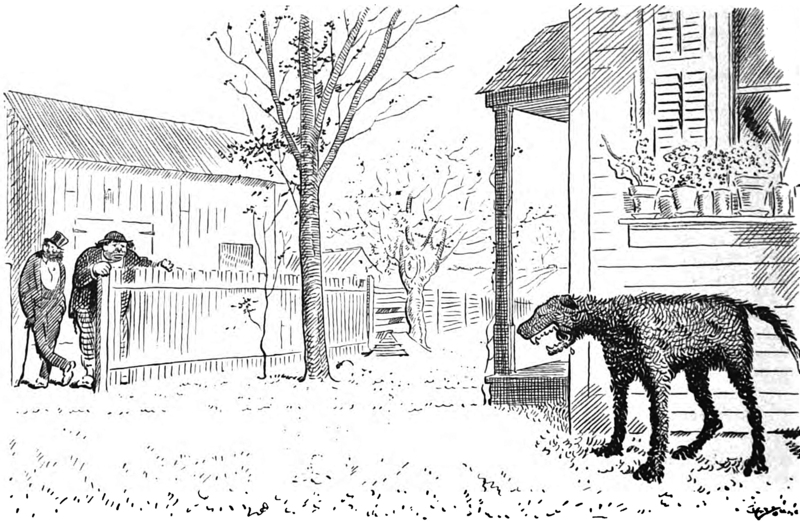 Here's a precursor to David Lynch's comic strip "The Angriest Dog in the World," about a dog "so angry he cannot move; he cannot eat; he cannot sleep; he can just barely growl; bound so tightly with tension and anger, he approaches the state of rigor mortis." 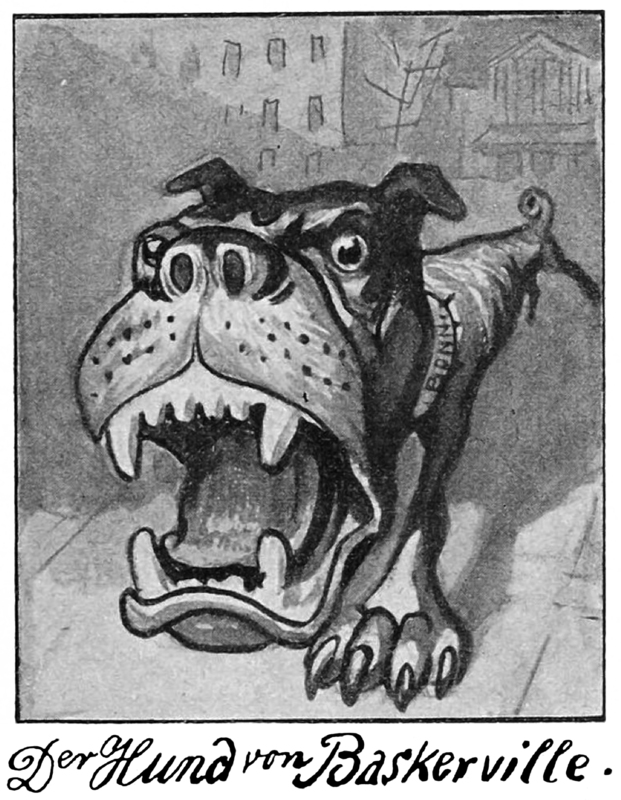 This vintage angriest dog appears in Judge's Library, 1905. 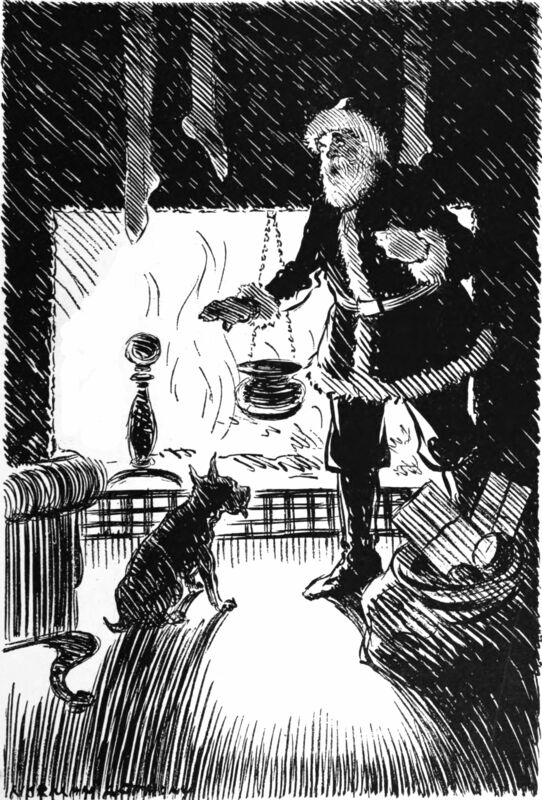 Previously, we spotted an even closer precursor to Lynch's angry dog, here.